Renaissance Fresco Depicting Saint Augustine In The Collegiata Or Collegiate Church Of San Gimignano, Italy. Lizenzfreie Fotos, Bilder Und Stock Fotografie. Image 111810665. Standard-Bild - Renaissance Fresco depicting Saint Augustine in the Collegiata or Collegiate Church of San Gimignano, Italy. 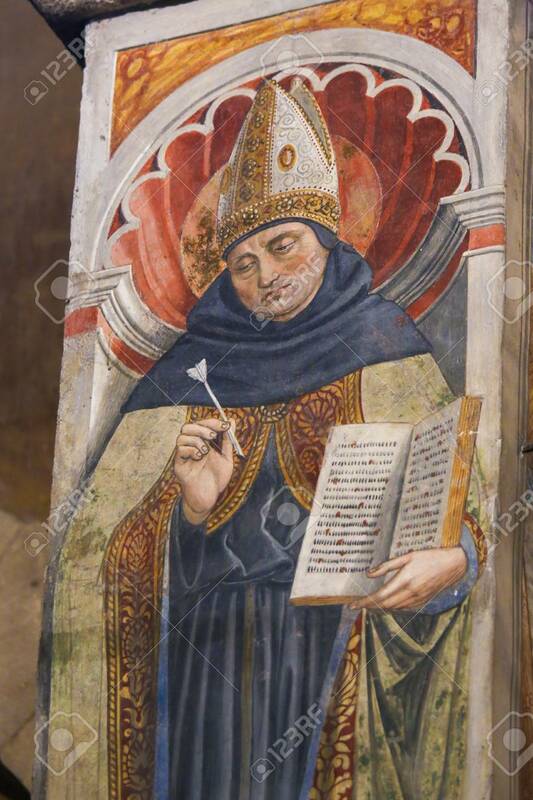 Renaissance Fresco depicting Saint Augustine in the Collegiata or Collegiate Church of San Gimignano, Italy.